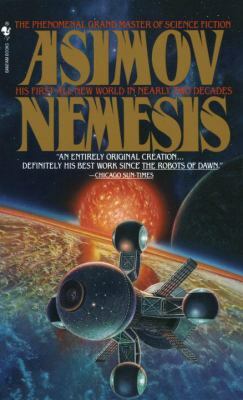 Nemesis tells of colonies orbiting earth that provide self-sustaining lifestyles for humans who have never even lived on earth. One of those “Settlements” discovers hyper-drive and launches itself to orbit a previously unknown star named Nemesis located only two light years from earth. Extensive study of the new star and its planetary system reveals that Nemesis will one day collide with and completely destroy earth. Wanting to establish a civilization that is free of the strife and prejudices and crowding on earth, the head of the colony does not want to warn earth. But there are those who disagree. And many fear that scientists on earth will discover their star and hyper-drive and come to disturb their fledgling colony circling Nemesis.